Posted: December 8th, 2015 under DX, Hamradio, Soundclips. On October 22nd, I worked V73D on 30M CW. I had tried on several occasions before, both in the morning and in the afternoon. They had a good signal several times, but they weren’t paying attention to Europe when they could have worked many. Anyway, I got them in the log and OC-029 was a new iota for me and a new country on 30M. On October 24th, I worked V73D on 20M CW. 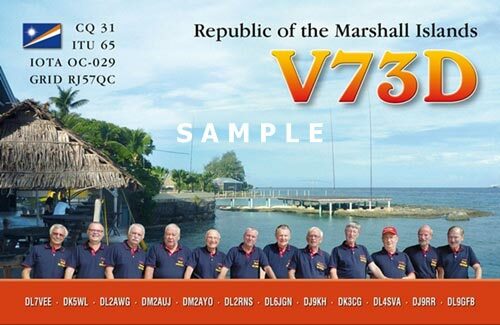 On October 25th, I worked V73D on 17M CW for a new one on 17M. On November 6th, I worked 3W3MD on 15M CW. I thought they were on an iota, but unfortunately, they weren’t on the iota at this time. I missed the activation from 3W3MD/p from AS-162. On November 21st, I worked S79C on 15M SSB from AF-119 for a new iota. They went qrt the day after, so I was lucky to get them in the log, as I didn’t pay attention to them earlier that week. On November 27th, I worked PJ2/PA3EYC on 17M CW for a new one on 17M. C6AUM was worked on 15M RTTY for a new one on RTTY. Both stations uploaded the log to LoTW within 24hours.